Create your own unique custom order by choosing from a wide range of items that you know your recipient will love. 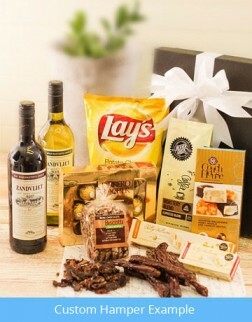 To get started, click on custom flower arrangement or custom food hamper below, and start building the perfect gift. Our custom hampers and flowers are available for same day delivery in Durban if we receive your order before 12:00pm.